Throughout my career I have been able to assist families and business leaders with their personal financial decisions. In addition, I have been able to help numerous physicians, advisers and consultants in developing their practices. The Life You Can Afford to Live is my personal blog that is designed to enlighten and educate about “the business of business”. The ideas shared here are designed to enhance my readers financial, personal and professional lives allowing them to serve more people. Ihave been privileged to assist families, business owners, and professionals in realizing their financial dreams. Through a commitment to excellence, I have been fortunate to build a solid client base throughout the United States, which continually expands through referrals from satisfied clients. I created Drive Planning to help my clients create a more intentional approach to success. Success isn’t solely about money, we focus on action items in three primary areas; Being Relationally Rich, Physically Fit and Financially Free. 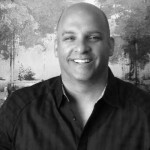 I have been in the financial service industry since 1997, and am a member of The National Association of Insurance and Financial Advisers, and a Certified Senior Advisor. Throughout my career I have taught hundreds of physicians and financial advisers to become more successful in building their practice. Some of those best practices are shared in Financial Planning Magazine each month and the Credit Sesame blog, through my role as a contributor to these publications. Now you can learn more from my upcoming book, The Advisor’s Edge. Having been named six times as an Atlanta Magazine Five Star Wealth Manager for Best in Client Satisfaction in 2008 through 2013. Five Star Best In Client Satisfaction Wealth Managers are selected as a result of a rigorous research process. The resulting list represents no more than 4% of the wealth managers within a specific market area. Also, in 2010 named as a Top Wealth Manager in the Southeast by Newsweek Magazine. 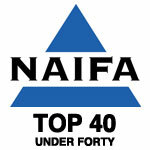 In 2011 and 2012, was recognized by The National Association Of Insurance and Financial Advisors as a member of The Top 40 Advisors Under 40 in Atlanta. These recognitions and awards are indicative of the passion I have for helping others achieve more and certainly would not have occurred if not for the terrific team I am blessed to work with each day. My wife, Jackie (Follow Jackie on Twitter @JBurk920), and I recently relocated from Johns Creek, Georgia into Midtown Atlanta. Currently I serve as President of Johns Creek Beautification and but was required to resign from service on The Johns Creek Planning Commission upon relocating outside of Johns Creek. Jackie is the Legislative Chair Person for North Fulton County PTSA. Together, Jackie and I serve on the Guest Services Team and lead a small group at Northpoint Community Church In our family we enjoy five children and our American Shepard Brewster. In our free time we like to read, hike, exercise and work with Brewster. However, on Saturdays in the fall we will likely be in Athens, Georgia cheering for our Georgia Bulldogs! Please feel free to contact me directly through this site. You may also follow on line through LinkedIn or twitter. Lastly, email me directly at todd@toddburkhalter.com. Each of these tools makes it easy to connect or share with friends. So, thank you in advance for sharing!